Sunshine Cobb was born in Vancouver, British Columbia, and grew up in southern California. She worked a great many jobs and took a great variety of college classes on her quest to find her bliss. While searching Sunshine tried many careers; housekeeper, customer service agent, production assistant, massage therapist, child/elder caregiver, she finally discovered ceramics. After a short stint at Chico State University, she went on to graduate with a BA in Studio Art from California State University at Sacramento, in 2004. Ceramics has been the major influence in her life for 15 years now. She has done everything from 8-day anagama wood firings to slip casting ornament’s. She focuses her talent on functional ware, embracing the richness of earthenware and currently is exploring the challenge of electrogama (electric firing). 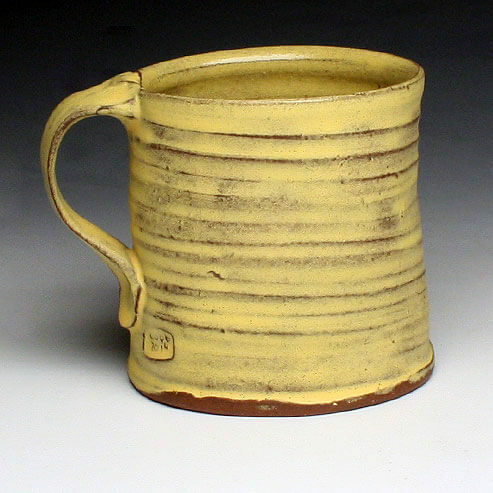 She recently graduated from Utah State University with her MFA in Ceramics. She is currently a long tem resident at the Archie Bray Foundation. I want my work in clay to represent growth and accomplishment, in which I believe reminiscence and nostalgia play a part. I rely on texture and color to create a sense of motion and time in my work. I hope to instill a sense of age, like one finds apparent in discarded objects, with the aim to infuse feelings of nostalgia and wanderlust in my ceramic objects. By exploring and creating vessels kept within arms reach, I hope to communicate how an objectâ€™s significance can grow and change depending on the path of a personâ€™s life. And how the relationship between function and ornament shift throughout the course of a day/week/year. Through form and surface my goal is to communicate a sense of home and memory but also to evoke that feeling of wanderlust that has informed my own life and visual sensibilities. My work is at its very best when in use, flowers or food, the work comes to life and enhances any encounter.